The green thumbs at Flip & Tumble have harnessed the power of the pod with their fresh felt planters shaped like flying saucers. 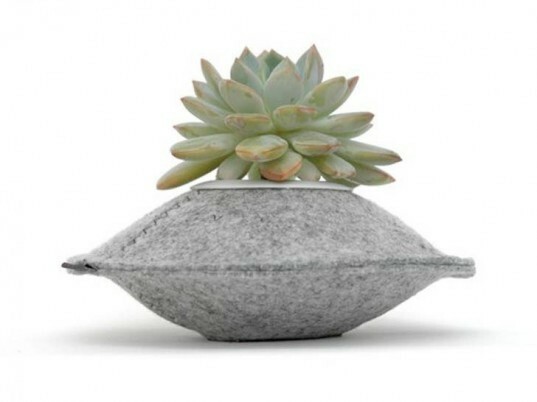 Made from 100% recycled material, these fuzzy planters add color and character to any room. 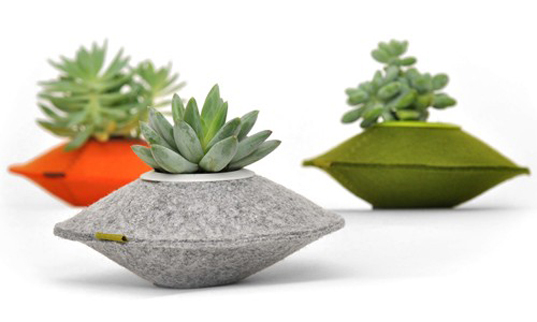 A great alternative to buying new, plastic pots, the felt pods cost only $14 each, making them an inexpensive way to bring some greenery indoors. Based in San Francisco, Flip & Tumble is committed to manufacturing products that are sustainable as well as fashionable. Ethically produced in China, the line of pod planters reflect the founders Hetal Jariwala and Eva Bauer’s training from the Standford Design Program. Combining style with functionality, each pod sits about 6.5″ in diameter and is lined with plastic to allow for easy watering. Compact and quirky, the pods are a great way to showcase your favorite new specimen.